Rajiv made this tool to help people find their balances more easily. Simply follow the readme instructions on the github to recover your IOTA. HI Winston, When I moved my IOTA from Bitfinex it seems the Passphrase I used was only 80 characters. I DID DO A SCREENSHOT OF THE TRANSACTION FROM BITFINEX SO I THINK I HAVE THE ADDRESS. When I first opened my wallet the full balance was there (6,077 IOTA). Then I closed the wallet and have never seen it again. I feel like I tried all the options I've been reading about and have put many hours into it to no avail. When I tried Rajiv' method it said:" bad passphrase only 80 characters" . Any ideas? I know you guys must be swamped so thanking you in advance. Try using Rajiv's tool again, but this time input the number "9" at the very end of your seed. That should coax it into working. How many adresses should I be checking before getting the CURL_UNUSED or CURL_NOT_TRANSITIONED? Winston, Thanks very much, I'll give it a shot and let you know. @Winston: Thank you much for your answer. I'm pretty sure I'm entering the right seed... I sent it to myself through e-mail back in the days and I just copy-pasted it. Shall I enter the old seed or the new seed in the NodeJS script? Can someone explain to me where I should be typing the commands as per the balance finder instructions? Where/what is the terminal or powershell? I can see my balance on the address when I look at the explorer but I cant get the new hot wallet to find it. I have looked on the page listing all of the addresses that were moved and my address does not show up. The reason why you're not getting CURL_UNUSED is because since you didn't transition, your addresses were generated with a different algorithm. This is stated in the readme that if you did not transition the tool will not be able to search for your addresses as the current API uses a different algorithm. I can see if I can get a version of the API that generates addresses for pre-transition seeds. However at this time you will have to reclaim as you didn't transition. transition mentioned in the readme was referring to whether or not I linked my old seed with a new seed using the reclaim tool, which I did. 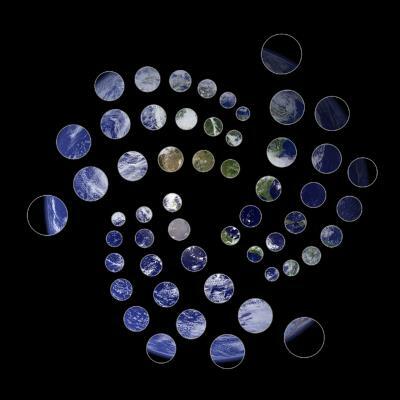 I guess I just have to wait & see & cross my fingers until the IOTA Foundation release my tokens. Thanks again (and @Winston) for your help! @1machec Enter the number 9 to fill out your seed until it reaches the required 81 character length. Apply this same principle to your seed. Hi Winston, still no luck. Just to make sure. Is this the Node.js command prompt field? @1machec I'm not sure then. If the balance finder tool is being this uncooperative for you, I would recommend just manually generating addresses with the wallet, and then comparing each address to the snapshot. Note that if you've already generated a bunch of addresses and your balance hasn't come back, that means that you'll just need to do the reclaim process anyway. There's really no point in doing this balance finder tool or even manually checking addresses in the snapshot since you know you'll be reclaiming regardless. Do I keep clicking the REATTACH button until the Yellow ' Proof transaction is pending" turns to confirmed?